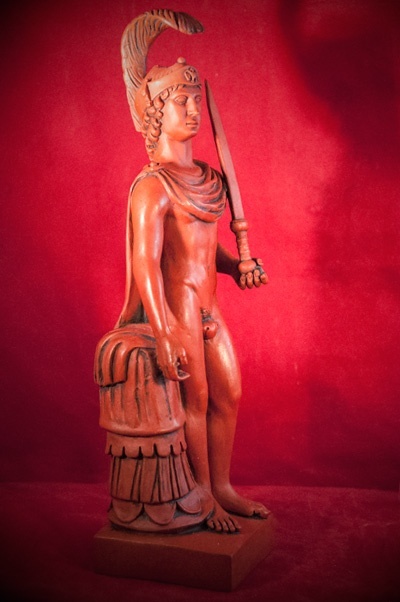 Here he stands at rest, with his cloak and sword at the ready. 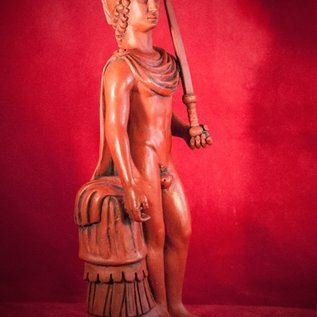 Mars was originally the numina or spirit of the season of growth and harvest, which was also the season of warfare and was therefore merged with Ares, the Greek God of war. 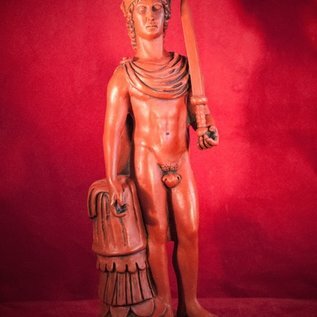 This son of Jupiter and Juno fathered Romulus and Remus, the founders of Rome. 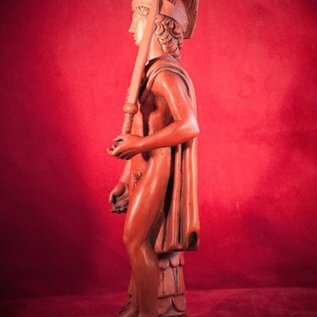 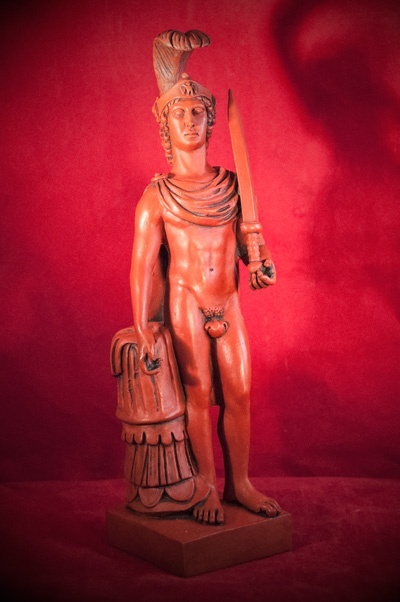 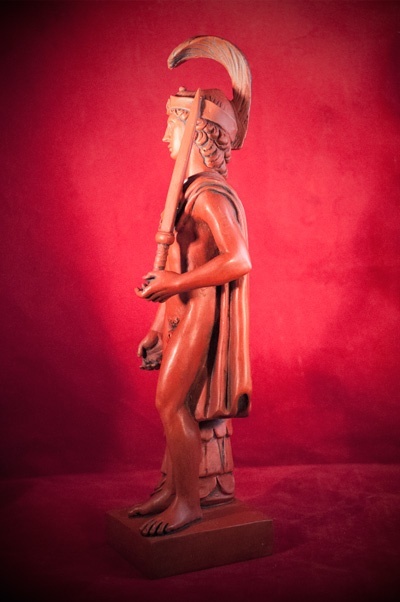 10 3/4"" resin statue, red gray color finish.